I’ll start off with the M&S haul, it’s all skin care and makeup and I’m really excited to try a few of these and share what I feel about them with you. The first thing I wanted when we were wandering around and I saw the UltraSun stand was a full sized bottle if the face sun block in SPF 30. Unfortunately it is in with the suncream and I forgot to photograph it with the others so here’s a photo of it by itself. I did review this recently so if you want to read more then you can find out why I wanted more here. The second thing was another repurchase, the Pixi Glow Tonic (£18 for 250ml) which my skin loves. Another that I’ve actually reviewed in the past and it’s great to find a physical store that sells Pixi products near me, no more relying on it being in stock online. 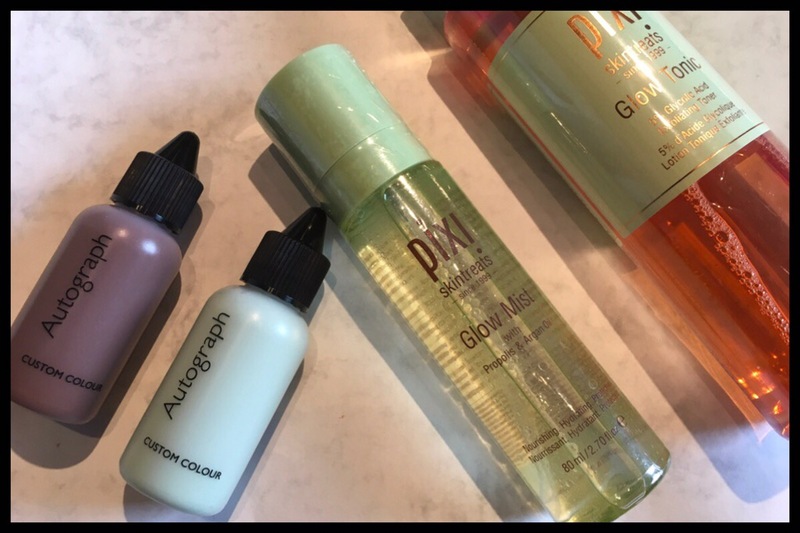 I have also had my eye on the Glow Mist (£16), also by Pixi, since I found out they did it so I ended up buying one to try it. It says it works like the Glow Tonic after cleansing, though it can also be used as a finishing spray or to refresh your face throughout the day with or without makeup so I’m looking forward to seeing if it does as it says. 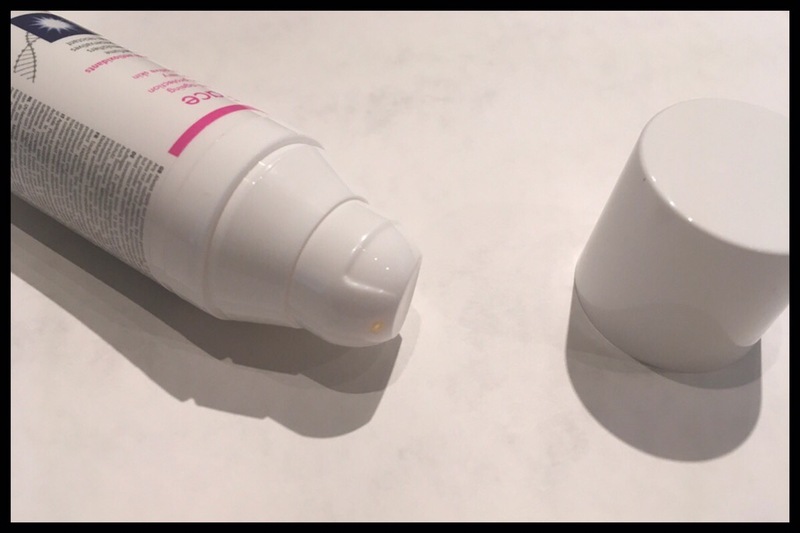 The two makeup things are both colour to add to foundation, or moisturiser and are the Autograph Custom Colour in Green and Dark (£12 for 30ml). I have a foundation I love but in the recent sun I seem to have become a bit tanned and the slightly darker colours in it seem to be too yellow for my skin so I’ve wanted to find a good product to add to darken it slightly. The Dark looks scary but it blended really well when I tried it on their own foundation in store so I think it’ll work for me. I did find that, as my foundation is so pale, the Green stays looking pale green but works better in a moisturiser. My cheeks are always a bit red so I went halves with my mum on this to see if it’ll help. All three of the nail varnishes I bought in Sally’s are different makes. I originally went in and though I’d get a muted pink, a bit like a dark version of the dusky pink that’s everywhere at the moment. I found this Red Carpet Manicure gel nail varnish in the colour Envelope Please. 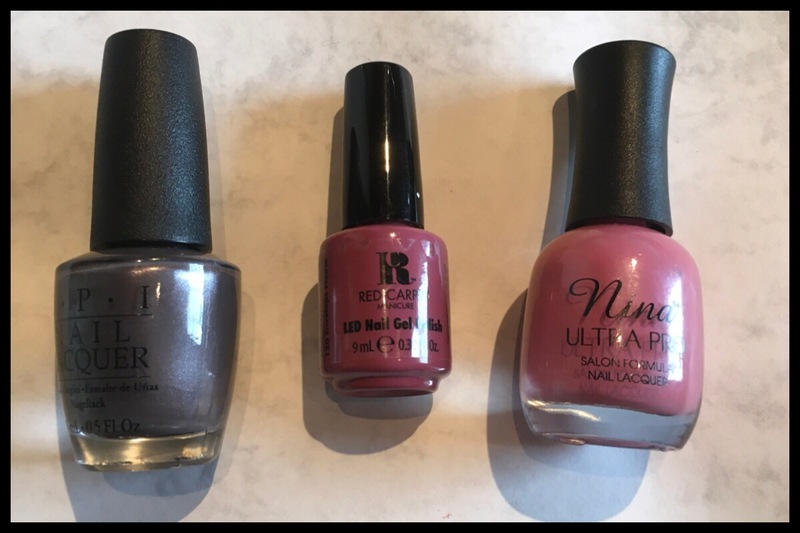 I wanted a normal nail varnish in a similar colour and the Nina Ultra Pro range had a similar colour in Orchid which I think is a permanent colour. It isn’t quite what I wanted when I saw it in the daylight rather than in store but it’s a pretty colour and great for spring or summer so I’ll use it anyway and I don’t have any like it already. The final nail varnish wasn’t one I went in getting was from the OPI summer range and is a slightly shimmery metallic gunmetal colour called Don’t Take Yosemite for Granite. It’s a really pretty colour, not too shiny and about halfway between silver and black. I don’t always get on with grey nail varnish, I want to but they seem to leave my skin looking washed out, but this one seems to work for me. 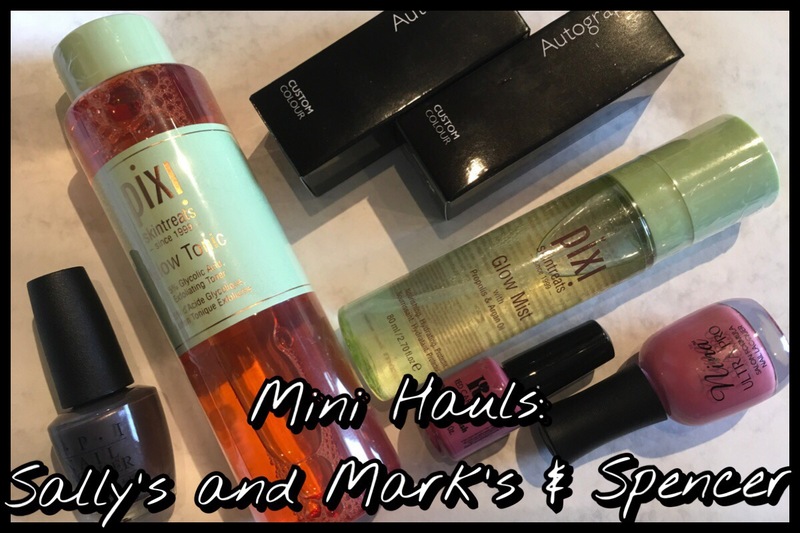 I’ve been curious about the M&S brand of beauty items – they look really good. Those custom colour drops would definitely come in handy!